Devialet announces the arrival of three new amplifiers | What Hi-Fi? Following on from the success of Devialet's D-Premier amplifier, the Paris-based audio company and leading UK distributor Absolute Sounds have announced the arrival of three new products. 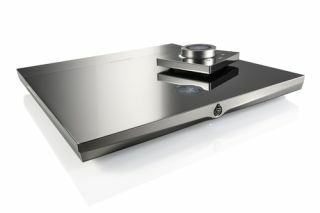 Refining the design and engineering seen in the D-Premier, the company's second generation of amplifiers is made up of the Devialet 110, 170 and 240. The entry-level 110 comes in at less than half the price of the D-Premier, with the 170 acting as the mid-range model and the 240 replacing the top of the line D-Premier. Each one combines a preamplifier, stereo power amplifier and DAC into one single, slimline case with several slight alterations to differentiate between each model. The 170 and 240 offer a more advanced phono stage for turntable users, while wi-fi connectivity is an optional extra on the 110 and 170 but comes as standard on the 240. Devialet's ADH amplication will be a consistent feature across all models. In addition, Devialet claims to have delivered the best of Class A and Class D amplification by combining the sound quality of the former with the power and efficiency of the latter, delivering an accurate sound with drive and refinement. Each component within the new range has been designed to be easy to use, with heavily customisable features enabling a user to tailor the system to their own requirements. All models will ship with the company's proprietary Devialet Air streaming system, with free iOS and Android apps set to launch alongside the devices as well. The Devialet 110 will retail for £4,490 (£5,490 with Devialet Air), the 170 at £6,390 (£7,390) and the 240 at £11,900.